These Servus swamp men\'s heavy-duty hi boot are designed for jobs that call for footwear with far more substance. 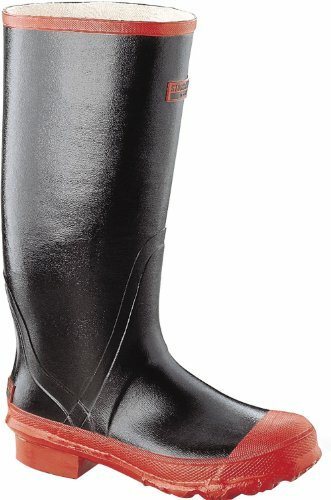 for applications such as water and sewage exactly where great traction is a have to, boots featuring extra grip and slip resistance provide added safety. Premium grade rubber materials formulated to make certain superior efficiency and extended-term use. Steel shank reinforces building and supports the arch. Beveled bar cleated sole and heel provides outstanding grip and slip resistance. Built-in cushion insole adds an added comfort layer. Available in black/rust color and size-10.